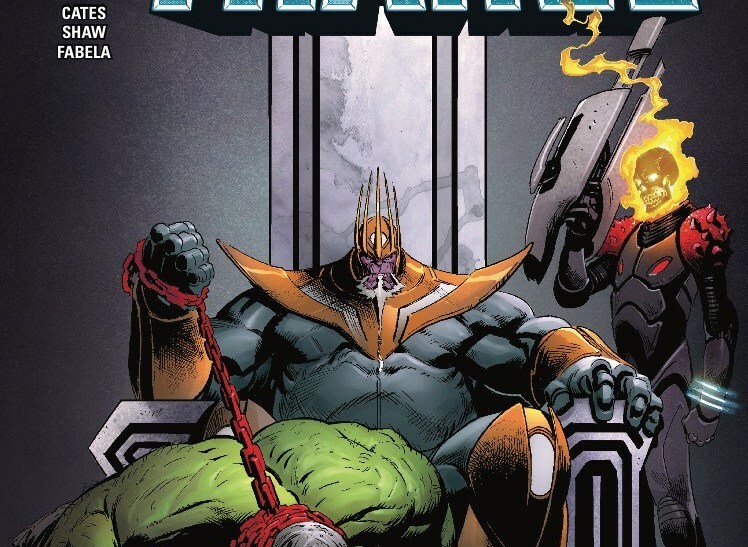 Thanos #15 Review – AiPT! A series that seems to defy all odds and remain excellent with every issue. 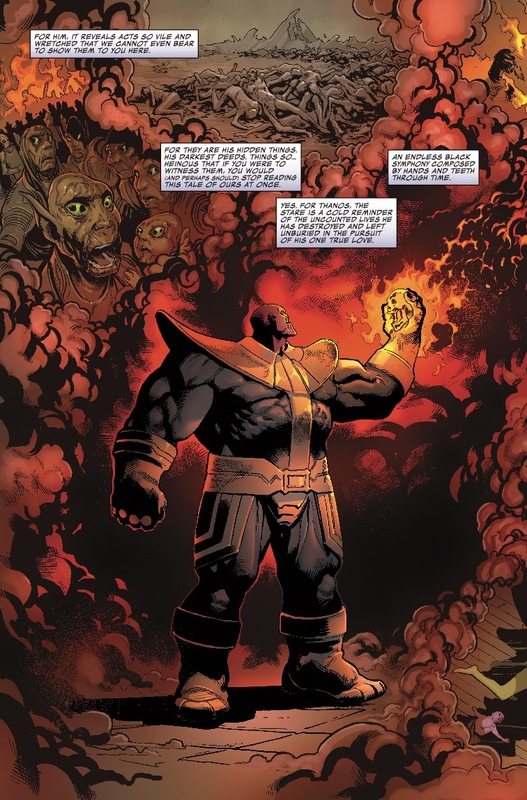 This may be the third issue in Donny Cates’ takeover of Thanos, but don’t let that deter you. My 10/10 score for the first issue in the arc and my 9.5/10 score of the second issue have made this series a buy on sight series. It’s badass as hell and shows a side of Thanos that will get you excited even though he’s a terrible killer. Artist Geoff Shaw’s cover shows old man Thanos controlling Hulk as if he’s a dog. Need I say more? Thanos is basically the devil, right? It is becoming very clear Donny Cates is a master storyteller. Each issue of this series opens with a sort of monologue about Thanos revealing a side of him we may not have known or thought about. This issue does so via Ghost Rider, which helps show the horrors Thanos relishes in. The issue then cuts back to the regular story and it’s excellent. Thanos talking to his older self is always a delight. You’d think he’d have some respect for, well, himself, but that’s not true at all. Instead, he scoffs at the old man and treats him like an underling probably because that’s the only way he knows how to treat anyone who isn’t his beloved Death. This issue has two twists as well, so if you dig twists you’re going to dig this issue. I won’t spoil a single one, but one comes out of nowhere midway through and the other will knock you with a ton of bricks at the very end. It’s a badass full page spread to close this book and get you hyped. Shaw’s art continues to be excellent. Take for instance a full page spread revealing Hulk’s living quarters. He sits amongst bones and refuse like he’s some kind of animal and the details are excellent. To enhance this page Shaw draws chains in the foreground up close to the viewer. This gives us the sense that we’re peering down on this display, like we aren’t supposed to see what we’re seeing. It’s a great bit of storytelling and shows pictures really are worth a thousand words. My only complaint may be the opening monologue, and that’s only because it doesn’t reveal anything particularly new. Instead it serves up a good bit of captioning to get us settled in on how Thanos is the most badass creature in the universe. Good dialogue, excellent storytelling, and surprise twists galore. This is how all comics should be! 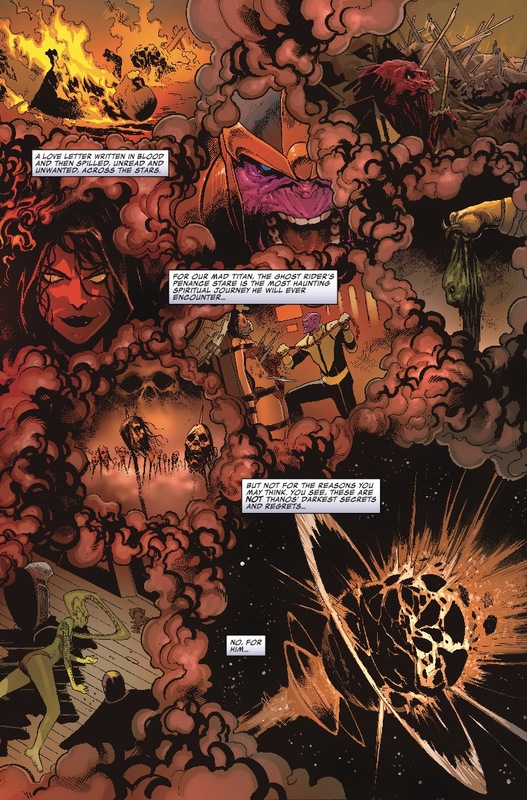 It’s borderline unhealthy how awesome you’ll find Thanos even though he’s pure evil. This is still a buy-on-sight series.